By year 2020, customer experience will overtake price and product as the key brand differentiator. Caring about your consumers’ success is in fact the key to your own future development. This is the heart of Customer Success. It is a difficult question to answer in a short and simple manner and over the last year I have really twisted my brain to come up with a good and understandable explanation. This blog post is thus a summary on my thoughts and reflections on what it really is, and why it is important even if you are not a traditional SaaS-organisation (like Norse, the company I work in). Enjoy! Winds of Change — How did we get here? 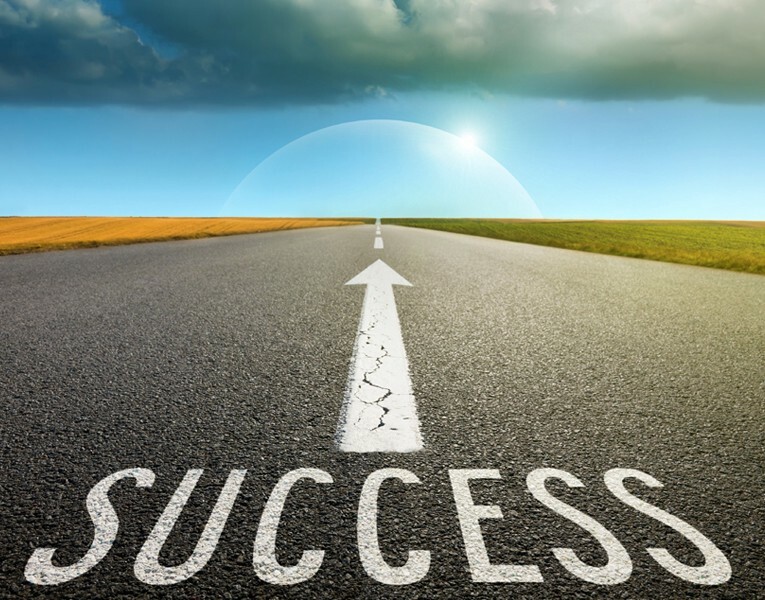 Today, Customer Success is one of the biggest emerging growth opportunities in business. Why? The phrase “Always Be Closing” from the 1992 movie “ Glengarry Glen Ross”, is a good example of the mentality and approach many organisations had in the past when it came to how to drive growth and profits for your business. The movie is about four real estate agents who sell unappealing land to people who don’t really want it. They hire a motivational coach to help them increase sales and during his motivational speech the coach, starred by Alec Baldwin, repeats this phrase several times and present a sales strategy in which a sales person should constantly look for new prospects, pitch products or services to those prospects, and complete that sale. And then when a sale is closed, move on to the next one as soon as possible, with no more attention on the customer they just sold to. And really, there was not much point in spending more time on a customer once a deal was closed, because when the contract was signed and sealed, the customer was either “locked-in” for lifetime or for many many years to come. So it did not matter how happy the customer was with their purchase, because the revenue from the sales was already secured when the contract was signed. Of course, it can be discussed how the long-term effect of selling unappealing products to customers could potentially backfire on future new sales rate due to bad reputation etc, but you get the point. It was cheaper for them to constantly chase new prospects, because that was where the $$$ was. But then, around the 21st century, something happened. The use of internet exploded, and along with that came customers armed with significantly more information than a customer in 1992. Turns out the average 21st century customer preferred to shop around and do research on their own, and didn’t want to talk to a sales person until they were ready. This meant that for a sales person to even get in position to sell anything, they were dependent on the marketing department that now owned the information flow (blogs, campaigns, ads and social media) to get hot leads and potentially close a sale. Due to the open flow of information available on the internet and the ability to share information with others, it also started becoming more and more important to keep customers happy, as otherwise it would at some point come back and bite you in the a** in the shape of a bad reputation that could result in fewer referrals and recommendations which in turn would have a negative impact on customer acquisition rate. However, once a contract was signed, the norm was still that customer was “locked-in” for years, so in that way business revenue was still secured and acquiring new customers was still the main driver for growth. Over the years, the balance of power has shifted, and customers now got more options, information, expectations and demands than ever before. Customer expectations are rising. No longer is it enough to provide a solid product or competitive price point. In today’s competitive marketplace, an organisation’s brand is built — or broken — on its customer experience. Customers no longer want to commit to contracts and revenue models that will lock them in for years (or even for months). Thus, acquiring that new customer no longer secure long-term growth for businesses, as knowing about their other options, existing customers basically can decide to leave tomorrow if they don’t like your product or service. Rewinding back to the years when acquiring new customers was cheap, the obvious solution for many businesses would be to simply sell more to make up for the loss of revenue from churn. However, what this shift of power also has brought, is that it has become more difficult and also more expensive to acquire new customers (it takes a lot of effort from both sales and marketing!). Short-term sales cannot offset churn. What actually can offset churn, is to offer an excellent customer experience to your existing customers and make sure that they are happy and successful so that they don’t leave you. After all, successful customers will spend more money over time, consider additional products and services, and, serve as enthusiastic brand advocates. Growing your existing customers is now the key driver for sustained business growth. But how do you turn your customers into successful customers? This is where Customer Success as an operating philosophy and mindset comes to play. Customer Success is not just a new, fancy and flattery word for Customer Support or Customer Service (which is sometimes what I feel people think when I talk about it, unless they already are familiar with the term or the SaaS world). But really it’s not. Hear me out. In a nutshell, Customer Success is the successor of account management. It’s evolutionarily superior. It pinpoints problems — and opportunities — by collecting and leveraging as many data points as possible about the customer. Furthermore, Customer Success informs strategy; it helps businesses better understand the customer experience and lifecycle so they can improve it. Making sure that the customers achieve their desired outcomes, means that you truly have to focus on the customer and how that customer can succeed, as opposed to only focusing on how your organisation can succeed. It’s a mindset shift that reaps big rewards for everyone. In order to help your customers achieve their desired outcomes, you need to understand what success looks like for that customer all the way down to individual level (many customers will define success with your product or service differently than you might believe!). You also need to understand their goals. The key to uncover what success looks like for your customer and what goals they have, is to work proactively. Organisations with Customer Success as their operational philosophy leverages technology that enables them to be proactive, see the bigger perspective and go beyond solving specific problems and in that way deliver value in every interaction with the customer. This is where traditional account management, customer service and customer support fails. Account management treats customers like, well, accounts..numbers. Main focus is on renewal and growth, but from the organisation’s perspective. The operating philosophy of customer service and customer support is mostly reactive, focused on case-by-case and here-and-now instead of looking up and seeing the bigger perspective. It’s not a good approach to making your customers happy and successful, as truthfully, once a customer reports a problem it can already be too late. If the problem and need is big enough for the customer, the decision to terminate the customer-vendor relationship could already have been made by the time it gets reported. When we first established a Customer Success Team in Norse, the most important thing for our team was to explain to the rest of our coworkers that Customer Success is not just a unit doing Customer Success or responsible for Customer Success, but like mentioned above- rather a mindset, an operating philosophy and way of doing business within the entire company. One of the tools I have found most valuable when trying to build a customer centric culture within our company and explain why we are doing it and what we are trying to achieve, is the use of storytelling and telling stories that people easily can relate to. One of the first stories I told was about the elephant in the picture above. It goes like this: Imagine this elephant as one of our customers (no offence!). Within our organisation we have different departments and different kinds of people ( sellers, PMs, designers, developers etc.) that at some point has been working with or will be working with the customer. The developer works back-end with a task at the tale, the front-end developer is working in the middle, the PM is sitting on the top and in front you maybe have the seller or account manager that did the initial sale. They all see the elephant from the perspective of the body part they are working on — “ Its’s a rope”, “ It’s a wall”, “It’s a fan”. But who actually sees the “full” elephant? How healthy is it overall? And even further — where is the elephant in it’s lifecycle? Is it a newborn, a teenager in growth, a grown up in steady state or an old soul ready for retirement? An how does the environment it lives in look like? This is where the role of the Customer Success Team emerges. Our job is to connect the “dots” from all the different body parts and collect data and insight from the elephant to better understand the overall health, experience, goals and where it is in the lifecycle. 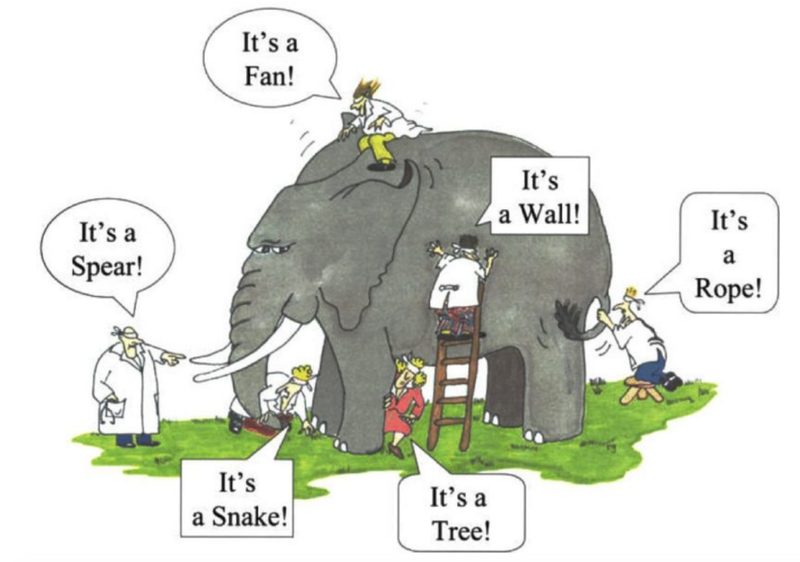 So we really try to see the “full” elephant and share this information throughout our entire organisation. By doing this we ensure that our entire organisation is aligned around an ideal elephant so that everyone, no matter their department, can help attract, grow and keep them. This is key if you want to succeed in building sustainable growth, because the thing is that, yes, the elephant might be hurting really bad in his toe right now and need us to fix it fast and simple, which we might be able to do. However, that really does not help in the long-run if the pain keeps coming back because it turns out that the pain really is caused by a problem in the hip and also that the elephants walks around in hostile terrain. But by the time we are able to identify this, the elephant is dissatisfied and does no longer want us to help him. By enabling our organisation to see the 360° perspective of the elephant and it’s environment we are able to quickly identify the real problem and support the elephant in a proactive way, so that it maybe does not end up with a hurting toe at all. The elephant is happy with the support and value we have provided and can keep growing with continuous help from us. And if we are lucky, it will also recommend us to the rest of his pack. So to sum up - Even if we often talk about Customer Success in the context of the SaaS Industry and subscription- based services, many of the concepts of Customer Success is just as applicable to the world outside of SaaS. Any B2B or B2C company, and any product or service-based business, can benefit from making Customer Success a company-wide priority. Because what business does not benefit greatly on repeat business, referrals and happy, successful customers? I’m betting you can’t come up with one. If you are interested in hearing more about how we do Customer Success in Norse and what organisational structure, processes, tools and systems we have set up, feel free to contact me for a talk. I work in Norse, a digital product studio. We build exciting products, services and companies from the ground up.